Browse the number of substations, miles of transmission lines, and more by year. The Commercial and Multifamily Green Building Ratings evaluate the sustainability of participating buildings on a scale of one to five stars (five stars being the best rating) in the areas of energy efficiency, water efficiency, materials, site, indoor environmental quality, community impact and innovation. View the projects that rated with Austin Energy Green Building. Learn more at http://greenbuilding.austinenergy.com. The target numbers for the average duration of power outages or System Average Interruption Duration Index (SAIDI) prior to 2016 and for 2016 to present are 60.00 minutes and 57.22 minutes, respectively. For the System Average Interruption Frequency Index (SAIFI) or the average number of power outages per customer, the target numbers are 0.80 for years prior to 2016, and 0.75 from year 2016 up to the present. The target number for the System Average Transmission Line Performance index (SATLPI) or the 12-month rolling average of the number of transmission line faults per 100 miles is 3.0. View the outages per customer, average length of outages, and system average transmission line performance index per year. Go to austinenergy.com/wps/portal/ae/about/company-profile/electric-system/ and austinenergy.com/go/corporatereports to learn more.  Austin Energy manages the City of Austin Utility Contact Center and Online Customer Care Portal. This is the place customers go to start, stop or transfer utility services.